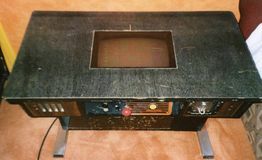 Vote for your top games on consoles,computers and in the arcades from the late 70s to the millennium. Pictures and information about my arcade cabinets. Scans of my record keeping of arcade game scores when I was young,some of these are quite old (1984+). 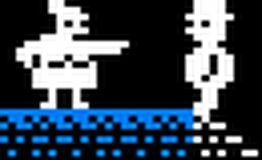 Visual record of locations in Birmingham and the Black Country that had arcade games. What is happening in the Jammajup world?. In the Atari Jaguar game poll Alien Vs Predator increases it`s lead at the top, meanwhile in the ZX Spectrum game poll Bomb Jack climbs up to 76th position and In the Atari ST game poll Cadaver is a new entry. In the Dragon 32 game poll Lunar Rover Patrol climbs up to third position, meanwhile in the Commodore 64 poll game poll Paradroid remains in second position but closes the gap on Bruce Lee in top spot. In the 3DO game poll Crash`n Burn is a new entry. In the arcade game poll Battle Zone climbs upto 9th position, meanwhile in the Dragon 32 game poll Chuckie Egg climbs up to the top off the table and Frogger climbs from the foot of the table to 3rd. Also Little Nemo : The Dream Master is a new entry in the Nintendo NES game poll. Retro related books and other oddities I own. My very simple arcade repair logs ,Nothing too mind blowing but may interest someone. List of arcade boards I have previously owned. Retro game related events I have attended,inc Images and even sounds from some of the events. A few arcade manuals,schematic and dips. What retro pod casts do I listen to?. My small retro game collection. Footage of my favourite games on systems and more.